Wrapping a photo album takes time and work. I think that’s why many opt to pass on the wrapping because they don’t believe it’s actually worth it. People just don’t appreciate it anymore, you can say, or what’s the point since the paper and ribbon get tossed anyways. It’s true, the wrappings get swept to the side once the gift is revealed, but I’m here to argue about what comes before the gift. I’m not a photographer. I’ve never delivered an album to anyone — but I do know what it’s like to be on the other side. I know it’s not just me, there is something special about getting a nicely wrapped box. It makes you more excited about it and what’s in it. Let me tell you what that something special is — it is knowing that the giver was thinking about you a lot, wanting to make you feel appreciated, and thinking about the process of giving instead of rushing through it absentmindedly. 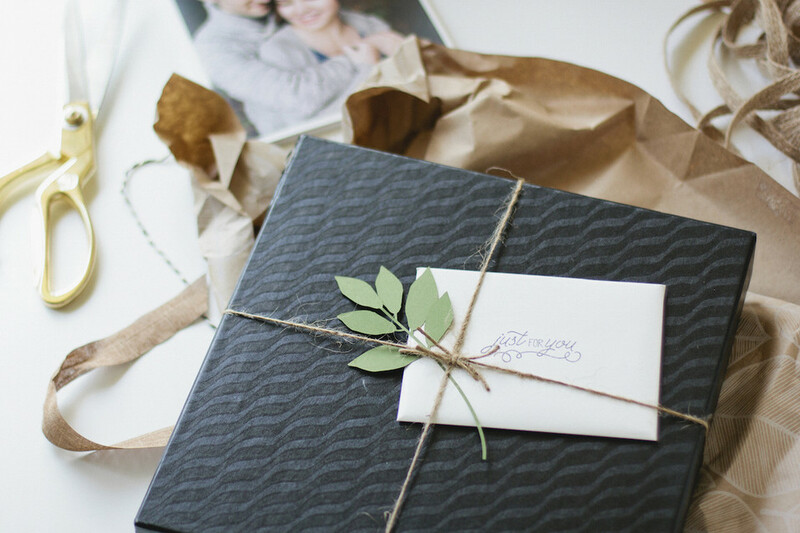 When you receive a well wrapped box, you’re already squealing on the inside just by looking on the outside. There is so much anticipation beforehand as you wait for your finished album, and the anticipation hits peak when the album, all beautifully wrapped, is finally in your hands. It’s like letting a bird free when the wrapping gets torn off and then you see it — your magical day to relive again and again. When you’re presenting an album to a newly wedded couple, you should let them know that you appreciate them. Instead of just giving them the album they paid for you to assemble, take some time to pick out a roll of pretty paper, handwrite a thank you card, and if means allow, throw in something meaningful that they didn’t pay for. Yes, you did all the hard work photographing and editing their big day, but you would not have been able to do that if the couple didn’t trust you and didn’t ultimately choose you. It’s a two-way street. And wrapping is a very cost-effective way of showing appreciation. One of my favorite ways to wrap is what I call layer-wrapping. In this case, there’s an album and a box that the album gets placed into. I wrapped the album in a simple sheet of tissue paper and secured the two ends with a sticker seal. 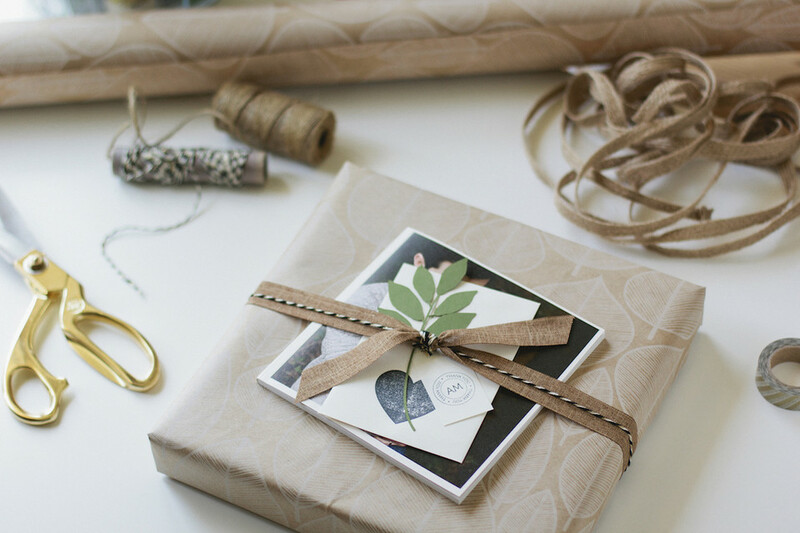 The album was placed in its box and tied off with jute and a thank you card. That was then wrapped in paper, tied off with ribbon and twine, and given a tag. 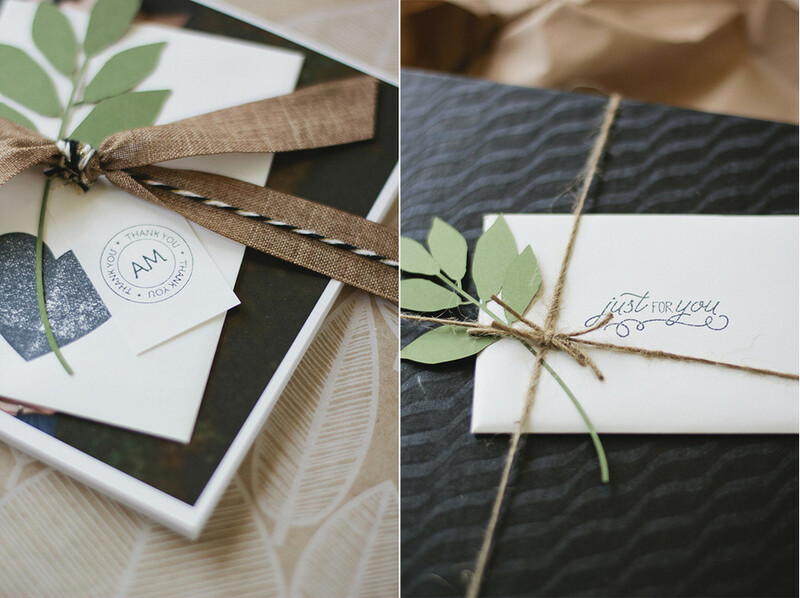 The extra bit was a small printed mini book of photos slipped under the ribbon. That will definitely put on a smile. Anastasia Mikailenko is the creative mind behind Anastasia Marie, a stationery & design studio based out of Portland, Oregon. 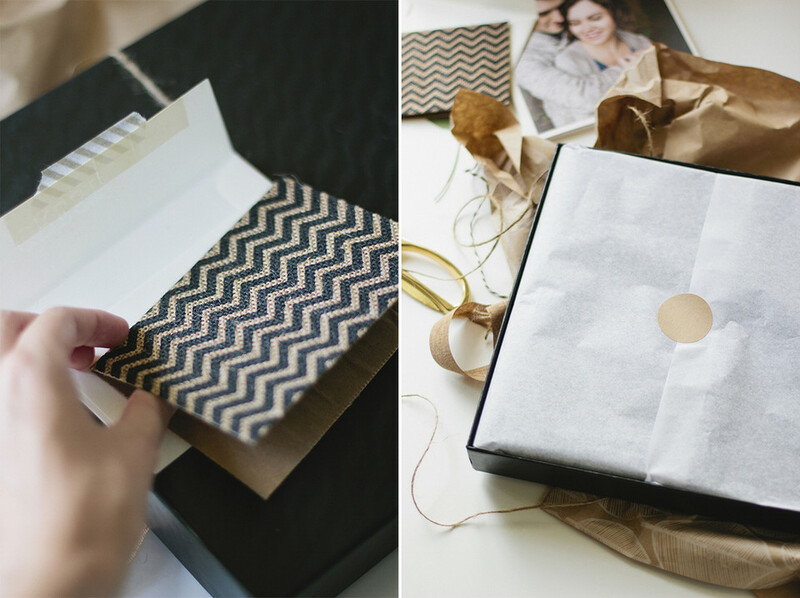 For more album wrapping ideas, visit her Blog or follow along on Facebook, Instagram, and Pinterest for regular updates and inspiration.